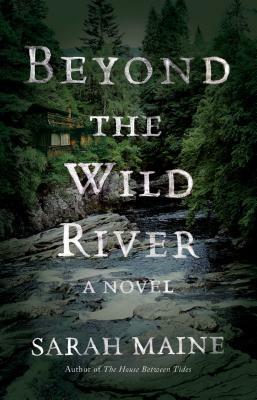 For fans of Kate Morton and Beatriz Williams, a highly atmospheric and suspenseful historical novel, set in the 1890s about a Scottish heiress who unexpectedly encounters her childhood friend in North America, five years after he disappeared from her family's estate the night of a double murder. Nineteen-year-old Evelyn Ballantyre has rarely strayed from her family's estate in the Scottish Borderlands, save for the occasional trip to Edinburgh, where her father, a respected magistrate, conducts his business--and affairs of another kind. Evelyn has always done her duty as a daughter, hiding her boredom and resentment behind good manners--so when an innocent friendship with a servant is misinterpreted by her father as an illicit union, Evelyn is appalled. Yet the consequence is a welcome one: she is to accompany her father on a trip to North America, where they'll visit New York City, the 1893 World's Fair in Chicago, and conclude with a fishing expedition on the Nipigon River in Canada. Now is her chance to escape her cloistered life, see the world, and reconnect with her father. Once they're on the Nipigon, however, Evelyn is shocked to discover that their guide is James Douglas, the former stable hand and her one-time friend who disappeared from the estate after the shootings of a poacher and a gamekeeper. Many had assumed that James had been responsible, but Evelyn never could believe it. Now, in the wilds of a new world, far from the constraints of polite society, the truth about that day, James, and her father will be revealed...to stunning consequences.